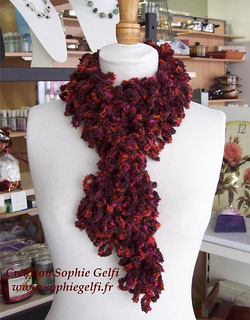 A very easy crochet scarf pattern that permits to use any fancy yarn, alone or combined. You’ll need less than 3 hours to make it. 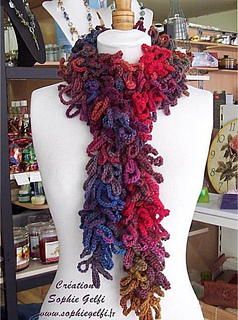 Only basic crochet stitches : single crochet and chain.